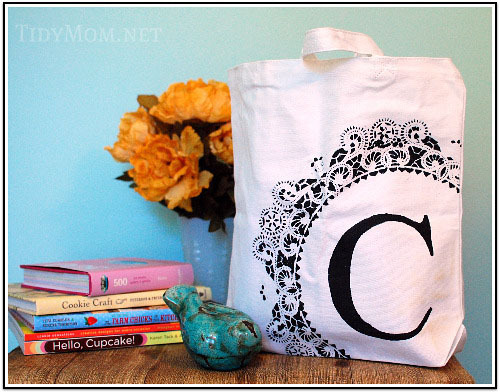 Today I thought I’d share the easy details on how I made this adorable monogram stenciled canvas bag using a paper doily. I originally saw this fabulous bag over on ashleyannphotography before I got my Silhouette machine. I quickly bookmarked her fabulous tutorial and picked up my supplies. 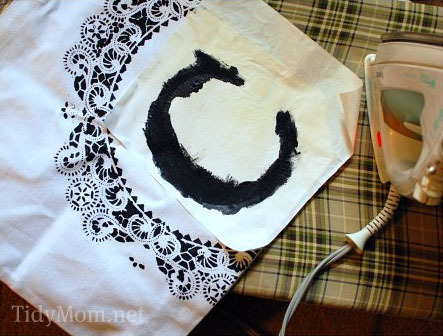 I used my Silhouette and Freezer paper to cut a “C” stencil, ironed the freezer paper stencil onto the bag, and painted. Don’t have a die cut machine? 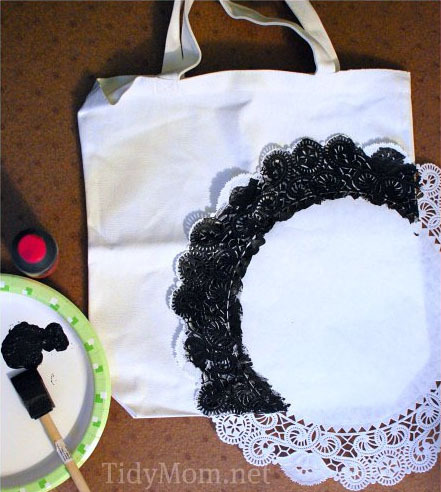 to nervous to paint by hand?…..instructions for making a stencil with freezer paper here. Super easy and Super cute huh?! 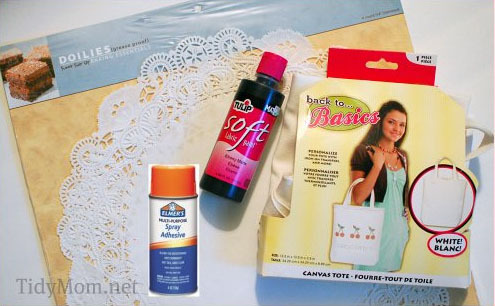 Again, I want to thank Ashley for this wonderful idea…..just think of what all you can do with these cute bags! With the holidays quickly approaching, you can easily make these up ahead of time, and while your out shopping, pick up goodies to fill them, for neighbors, teachers, bus drivers, brides maids, girl friends……the possibilities are limitless! Please excuse the mess here! Just made 2 of the totes! One for my mom and one for my daughter. I used my Cricut to cut cardstock paper for the letter stencil and adhesive spray instead of freezer paper (since I didnt have any) and it WORKED! Thanks so much for the tutorial. Now I have really cute personalized valentines gifts. I posted a link to this on my blog. I just love this idea. Thanks! Awesome idea for a cute tote bag! Thanks for sharing! I thought about you yesterday – we went to St. Louis to go to the Cardinals game…..only to find out that the game had been moved to later in the p.m. But we still made a day of it and went to the arch and to Sam’s. I might have to make one of these for MYSELF. Hahaha love it!